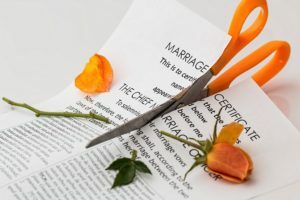 Divorce arbitration is where an arbitrator makes a binding decision about the issues raised by your separation or divorce. The arbitrator is a neutral third party, and is normally a senior family law lawyer. Arbitration is a lot like a private court. The main advantages are the speed and confidentiality of the process. 5. The matter is a proper one for default or summary judgment.